Youberg, A., Cline, M.L., Cook, J.P., Pearthree, P.A. 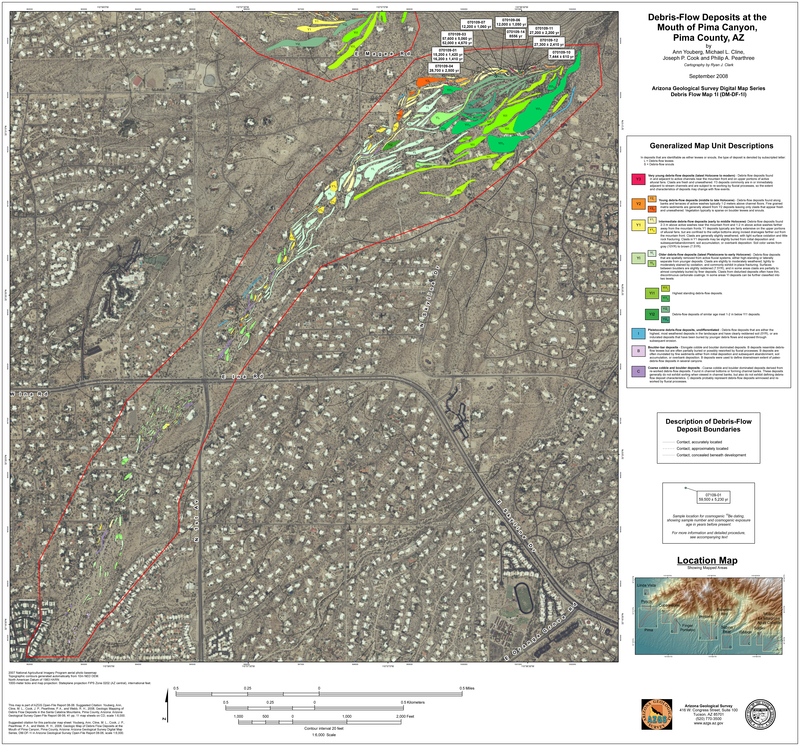 and Webb, R.H., 2008, Geologic Mapping of Debris-flow deposits in the Santa Catalina Mountains, Pima County, Arizona: Arizona Geological Survey Digital Map - Debris Flow Map 01 (DM-DF-01), map scale 1:6,000. Report initially published as OFR-08-06 in 2008.